Garden and Nursery Garden on the northwest coast of the Isle of Mull. 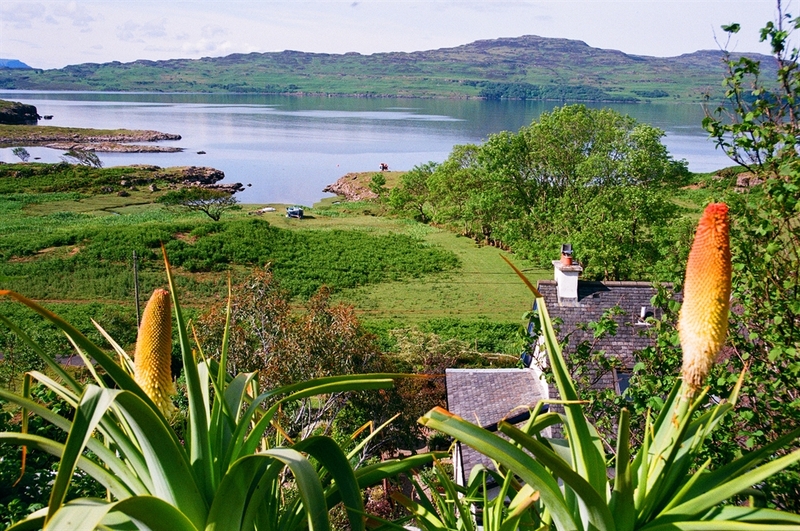 The garden is situated on a steep hillside on the northwest coast of Mull, with stunning views over to the isle of Ulva, the Treshnish Islands and Ben More. The path crosses the burn, lushly planted with moisture-lovers such as rogersia, sanguisorba and astilboides tabularis, and winds up the hillside through an eclectic mix of colourful herbaceous plants, wind-hardy shrubs, including several species of olearia and ozothamnus, and exotic non-natives such as echiums, all of which thrive in this mild but wind-swept location. There is a seating area at the top where one can enjoy the breathtaking view among plantings of agapanthus, bottle-brushes, sedums and rambling roses. 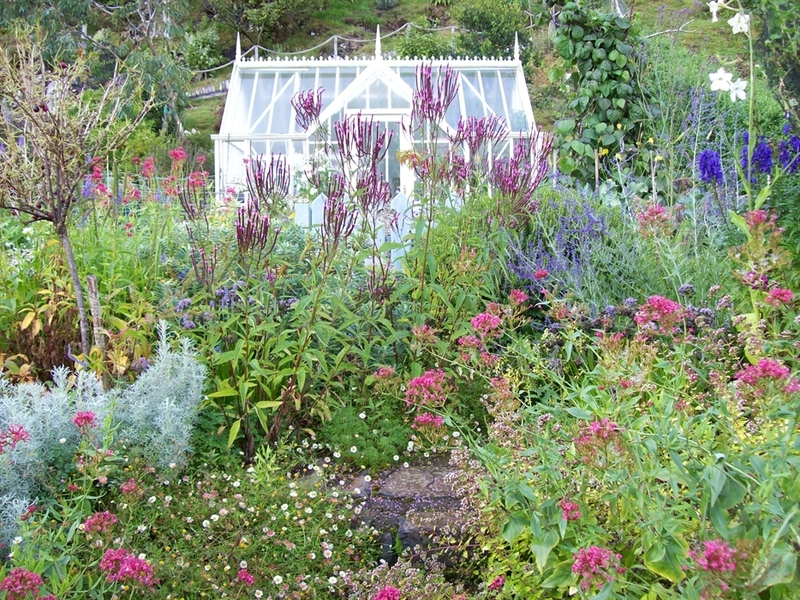 One then descends past the greenhouse and potager to the area round the cottage, with further beds of herbaceous plants and terraces of colourful exotics in pots. The garden is notable for the assortment of of old iron garden and farm implements and striking pieces of driftwood, which have been sympathetically integrated into the planting. A wide range of herbaceous plants and shrubs are available for sale, all propagated from plants growing in the garden and thus of guaranteed hardiness. There is also a selection of crafts and cards for sale in the porch, made with driftwood and other beachcombed objects, and pressed local wildflowers.